The senator representing Bauchi Central Senatorial District in the upper chamber of the National Assembly, Isah Misau, has taken a swipe at the Inspector General of Police, Ibrahim Idris, alleging that Idris collected about N120bn annually as payment for special security services rendered by the police to corporate organisations and very important personalities. He, however, added that over 50,000 personnel involved in such act had not been benefitting from the money. Misau, who is a retired Deputy Superintendent of Police, had also alleged that the special promotion of officers by the force was fraught with corruption, an allegation the IGP subsequently set a panel to investigate. But in a telephone interview with one of Punch correspondents on Thursday evening, the senator said he would not honour the invitation of the IGP’s probe panel because the police could not be a judge in a case involving them. He said the Department of State Services or the Economic and Financial Crimes Commission should be given the task of investigating his claims. However, speaking at a press conference in Abuja on Friday, the lawmaker, who denied the allegation by police authorities that he was on a vendetta against the force due to his dismissal from the service, alleged that posting of senior officers such as commissioners and mobile police commanders attracted between N10m and N15m bribe. Misau said, “Based on available records, series of petitions and reports from insiders, the incumbent IGP has no capacity to run the police, just like the Chairman of the Police Service Commission, Mike Okiro (retd. ), a former IGP, who also lacks similar capacity going by the N300m scam and others hanging on his neck since 2011 during the presidential primary of the Peoples Democratic Party, where he served as the head of the security committee. According to the senator, such postings have not helped the police in their war against crime in the country. 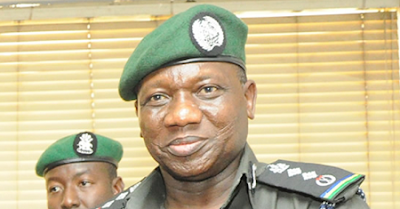 “Police is not a political outfit and should not be allowed to be turned into one by IGP Idris,” he stated. Misau also dismissed the allegation made by the Police Public Relations Officer, Mr. Jimoh Moshhod, that he (Misau) was dismissed for misconduct while displaying his letter of retirement issued by the Police Service Commission. Speaking further on why he would not honour the invitation by the IGP’s probe panel, Misau, in the telephone interview with Saturday Punch, stated, “You cannot be the judge in your own case. If really their hands are clean, they should bring an independent body. They brought the invitation (to me) because of fear. “Under the Freedom of Information Act, they should make something like that public. It means they are not fair in what they are doing. If there is no corruption (in the process), they should make it public. Misau further alleged that there was more corruption in the Nigeria Police and the Police Service Commission apart from those in the promotion exercise. He said, “Let me give you an example of the so many corruption cases that are taking place. More than 10,000 policemen are working with the oil companies and every month the companies are paying money. Where is the money going? Is the money going into the Federal Government’s coffers or into some people’s pockets? “We have over 10,000 officers working in banks. Are they paying money to the Federal Government? Who are they paying the money to? Where is the money? We have policemen in thousands working for companies and private individuals. Go to the airports and you will see that people of questionable character have policemen attached to them. Are they paying money to the Federal Government? “Why should the Federal Government train a policeman, give him uniform and gun; and then he is passed to an individual who will not pay anything to the Federal Government. Is that right under President Muhammadu Buhari’s administration? The senator said before he received the panel’s invitation, he had written the police authorities in which he invoked the Freedom of Information Act to compel the force to provide details of promotions since 2009, including the beneficiaries and reasons for their promotion. He said police’s response was that he was not the chairman of the Senate Committee on Police Affairs and was not eligible to request for the information. “I replied them again that I wrote not as chairman of the committee but as a citizen of Nigeria and as a senator who made an allegation and who wants to further show them that what he is saying is true,” he said. The lawmaker alleged that although police were at the forefront of anti-corruption campaigns in developed countries, corruption had prevented Nigeria Police from leading the anti-graft war by the Buhari-led administration.